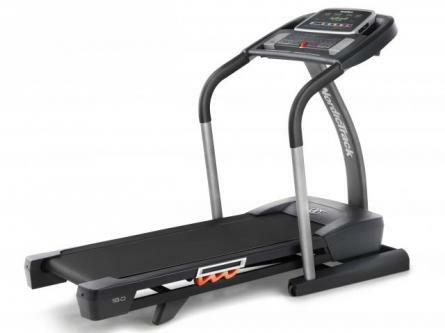 The NordicTrack T18.0 Treadmill is driven by a 3 CHP motor with a maximum speed of 22 kmph and to boost your fitness supports maximum inclination of 15%. It has a large commercial running deck of 51 x 157 cm , with quadflex cushioning for a smooth and comfortable workout. Its multi window LED display helps users to monitor their workout progress, while iFit Live and intermix audio helps for a more enjoyable workout.